Shengwu Lou round earth dwelling in the village of Jiaolu, Fujian province. 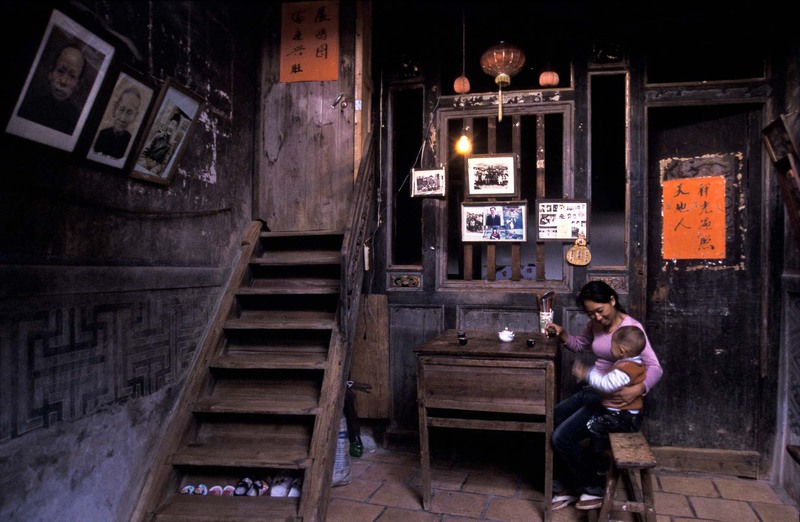 View of interior of the home of Li Zheng Ying and children. Visible Kitchen, living room / eating room. These are some of the most extraordinary multistorey structures in China built exclusively out of earth and timber, China.